Throughout its history, the JLT has had this mission at its core. Countless volunteers have dedicated their time, energy and talents to help their communities, advocate for those who need a voice and support each other becoming future leaders. 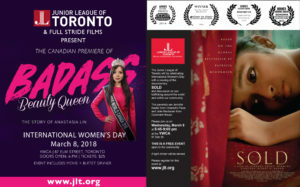 To honour this day, and Women’s History Month, the JLT holds an fundraising and training event to celebrate our strength as advocates for all women and further our message! This coming year we will continue in this tradition, as well as hold our “Little Black Dress” Initiative to further raise awareness. Please look back for details! Meet Some of our Members!